Tractor trailer drivers are required to keep log books. 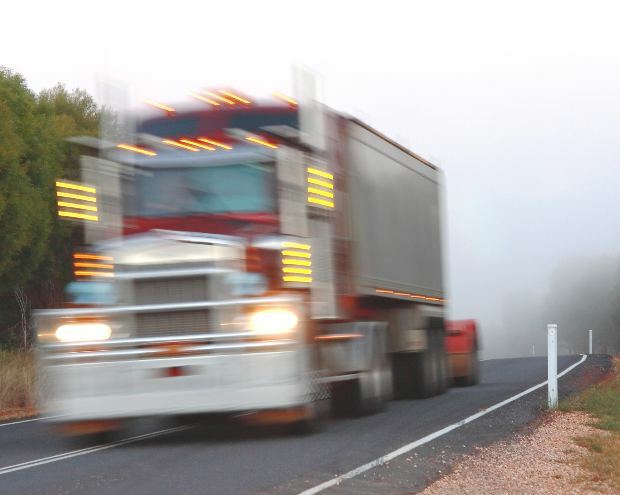 Log books record the time a truck driver has been driving or on-duty. It’s one of the first things we examine when we’re called on to help someone who has been injured in an accident that involves a truck. Few drivers, however, are as dutiful with keeping those truck log books as they should be. Log books are hand-written, and simple to read, and easy to keep up with if a driver wants to do so. Log books must be kept as the driver goes. Every time a driver begins the day, he or she is required to note the city, state, and time. The driver is to keep track of the amount of time driving – time left, time arrived, and time spent on breaks throughout the day. The name of the company that owns the truck and its headquarter’s location are required at the top of each log book page. The driver must sign the log book to indicate that the information in it is accurate and truthful. If the driver is following the law, the truck log books should show that he or she abided by the time limits specified by law. Police officers, state troopers and officials from the Federal Motor Carrier Safety Administration are allowed to examine the log books at any time to check to see if the driver is following the law. Many times, though, drivers do not keep up with log books, or falsify the books to indicate he or she has abided by the law. The Kentucky Court of Appeals has ruled in an unpublished opinion that a helmet is not an integral part of a motorcycle for purposes of uninsured motorist benefits. This issue was decided on in the case of Stallard v. State Farm Mut. Auto. Ins. Co. The case involved a motorcycle owner who was injured in an accident while riding with a group of other bikers. The man was riding in the center of a group of about two dozen motorcyclists when the group of riders suddenly slowed. As the man attempted to avoid an accident with another motorcycle, he sustained serious injuries when another motorcyclist’s unsecured helmet bounced into his tire. When the motorcycle accident occurred, the motorcyclist carried uninsured motor vehicle (UM) insurance. Since the injured man was not hit by another vehicle, however, the motorcyclist’s insurer denied his insurance benefits claim. After that, the injured rider filed a lawsuit against his insurance carrier in Jefferson County Circuit Court. In response, the insurer filed a motion for summary judgment, claiming it was not required to provide benefits under the terms of the policy because the motorcyclist was not physically struck by another vehicle, nor was he injured by an integral part of another vehicle. The hurt rider countered that he should be compensated by his UM insurer because a motorcycle helmet is an integral part of a motorcycle. The trial court sided with the insurance company and granted summary judgment in favor of the insurance carrier. The Kentucky Court of Appeals has overturned a circuit court’s decision to affirm a Kentucky Board of Claims’ final order in a motorcycle accident case. 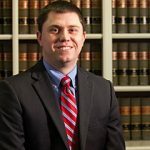 In Commonwealth of Kentucky v. Bunch, a man sued after suffering multiple injuries when he crashed his motorcycle on Greenbelt Highway in Louisville. According to the man, he lost control of his motorcycle and suffered permanent harm when his tires hit an improperly patched and uneven pothole in the roadway. Following the accident, the man argued before the Kentucky Board of Claims that his accident occurred because the roadway where the pothole was patched was significantly elevated. The man also stated the condition of the road made it impossible for him to safely navigate the highway. Testimony offered before a hearing officer indicated that potholes were a recurring problem in the area where the accident occurred, due to a defect in the concrete roadway. In addition, evidence suggested the pothole in question was repaired multiple times. Still, the Kentucky Department of Highways maintained that it had no record of receiving any complaints about the patched pothole during the four-month period preceding the man’s motorcycle collision. Additionally, there was no record of other motor vehicle accidents occurring in the area during that time. After testimony concluded, the hearing officer recommended denying the injured man’s claim for damages because he failed to establish that the patch was unreasonably dangerous, that the Department of Highways maintained the roadway in a negligent manner, or that it had notice of the allegedly dangerous condition. Despite the hearing officer’s recommendation, the Board of Claims found that the Department of Highways created an unreasonable risk of harm to drivers and remanded the action back to the hearing officer to determine comparative fault and damages. Finally, the Board of Claims awarded the man nearly $90,000 in damages. The Jefferson Circuit Court affirmed the Board’s decision, and the Department of Highways filed an appeal with the Kentucky Court of Appeals.